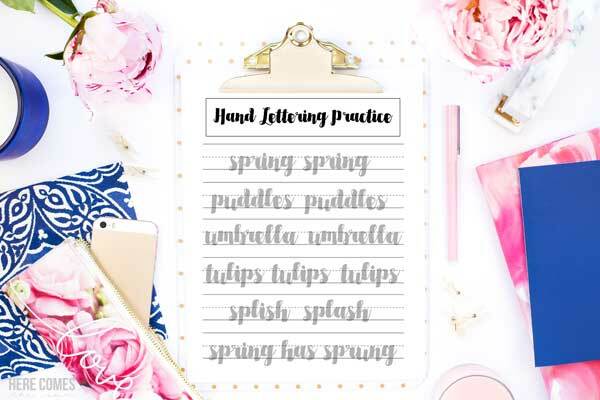 Use these spring hand lettering practice sheets to get started in hand lettering or to brush up on your skills. 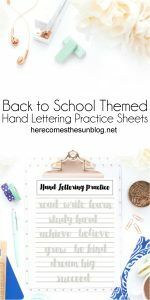 I love creating hand lettering practice sheets. 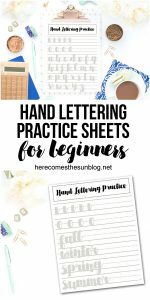 So many of my readers are interested in hand lettering and I want to show you that it is not as hard as it looks. 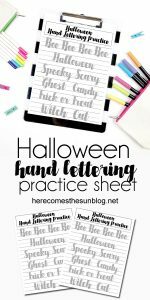 I have several hand lettering practice sheets on the blog including a back to school theme, halloween theme and a winter theme. 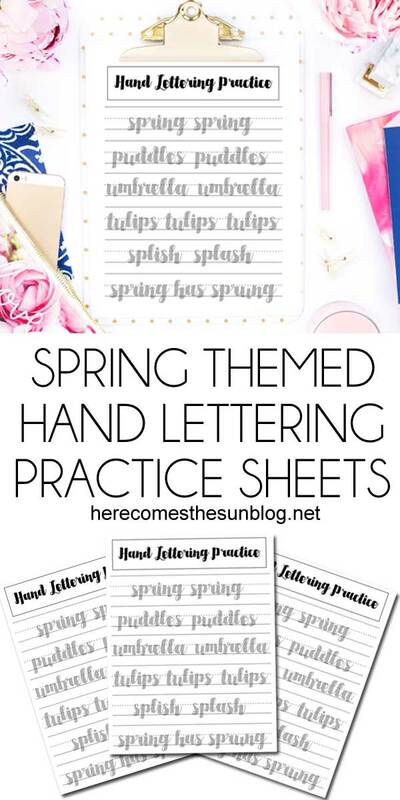 But today I’ve got some spring hand lettering practice sheets for you. Because I’m REALLY looking forward to spring after this brutal winter that we had. Maybe if we write about spring it will come sooner? Here’s hoping! I created this sheet using the Sortdecai Brush Script font from Creative Market. This is one of my favorite fonts to practice hand lettering with. I love the really thick and chunky downstrokes and the super thin upstrokes. I’ve also included a blank hand lettering sheet for you too. If you are curious, these are some of the hand lettering supplies that I use.